The Wombats somehow were completely off my radar until a couple of months ago. Better late than never, right? They're fantastic. My introduction to the group was "Let's Dance to Joy Division," a song that is perfectly catchy, smartly written and fun. I have high hopes the band does a follow-up tune called "Let's Make Crafts While Watching 'Control. '"Or that some smart alecks write a song called "Let's Dance to 'Let's Dance to Joy Division.'" Or maybe not. Definitely not. 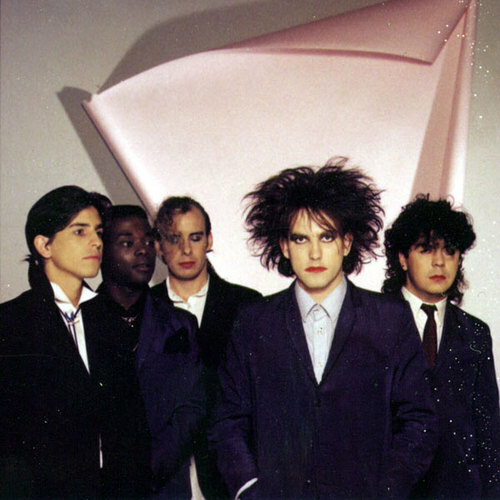 Anyway, since I like to pay it forward, I shared "Dance" with a colleague who astutely noted how singer Matthew Murphy favors Robert Smith of The Cure — in both appearance and voice. "Jump Into The Fog," from last year's album "This Modern Glitch," is picking up steam online and on the radio. While not as catchy as "Dance," it's still a good song — moodier, thanks in large part to the group's rhythm section dispatching the Franz Ferdinand-esque, indie-rock-disco drum and bass style of 2008's "A Guide to Love, Loss & Desperation." You have to appreciate what this three-piece is able to pull off live. How can you not love a group that plays and performs so well?!? By the time the Liverpudlian (such a great word to type and say) band comes around for Austin City Limits Festival in October, they will be a considerably more popular group. That's just my guess, which I base solely on knowing that tends to happen when a group opens for arena rockers like The Red Hot Chili Peppers. Well, who doesn't enjoy a singing Wombat?